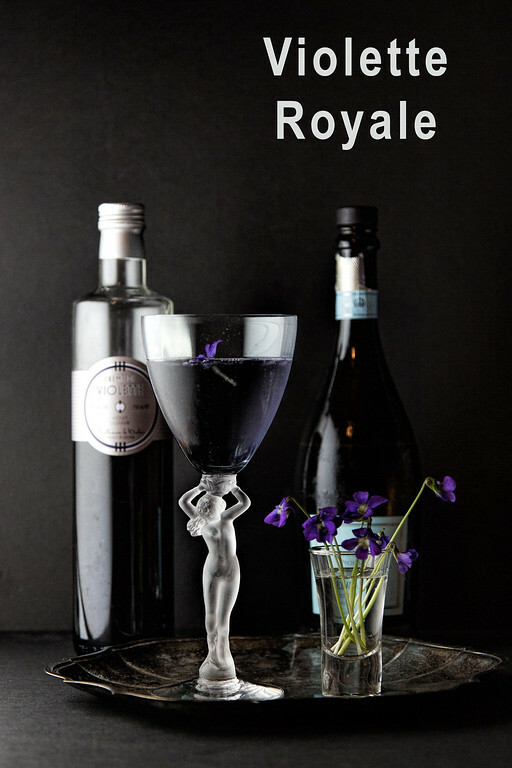 The recipe for this cocktail is now on my main blog, Sidewalk Shoes – Click here to see Violette Royale there. I am no longer posting on this blog, all of my cocktails, fashion and lifestyle posts are now at Sidewalk Shoes. This is so pretty and looks sooo lish! Pinned it and can’t wait to get out to the liquor store and buy some of this! Thanks! Darn it! There’s ANOTHER reason to move to Paris!! This cocktail is gorgeous. Been hearing a lot about créme de violette and wanting to try it. Plus I love anything with prosecco! Thanks for linking up at Saucy Saturdays, Pam! I really hope I can find Creme de Violette, Pam. What a beautiful cocktail! Your photos are amazing too. Pinned. I do have wild violets in my garden but they took a while to grow here. I always like to leave them because I love the flowers and my late mom did too. In fact, I always think that when a new batch pops up maybe it’s her way of saying hello from heaven 🙂 Thank you so much for being a part of our Hearth and Soul Hop. Guess what, I found some Creme de Violette a few weeks ago, Pam! I’m so glad you shared this recipe again because it has reminded me to give it a try! Thank you for your support of Hearth and Soul! Wow I didn’t know there are wild violets! I would love to get some but will heed your advice on not letting them take control. I don’t drink so can’t comment on the liquor except to say it looks elegant. Thanks for sharing on Funtastic Friday!